Clean and professional for hard working individuals. Perfect for office use, conference, or while traveling. 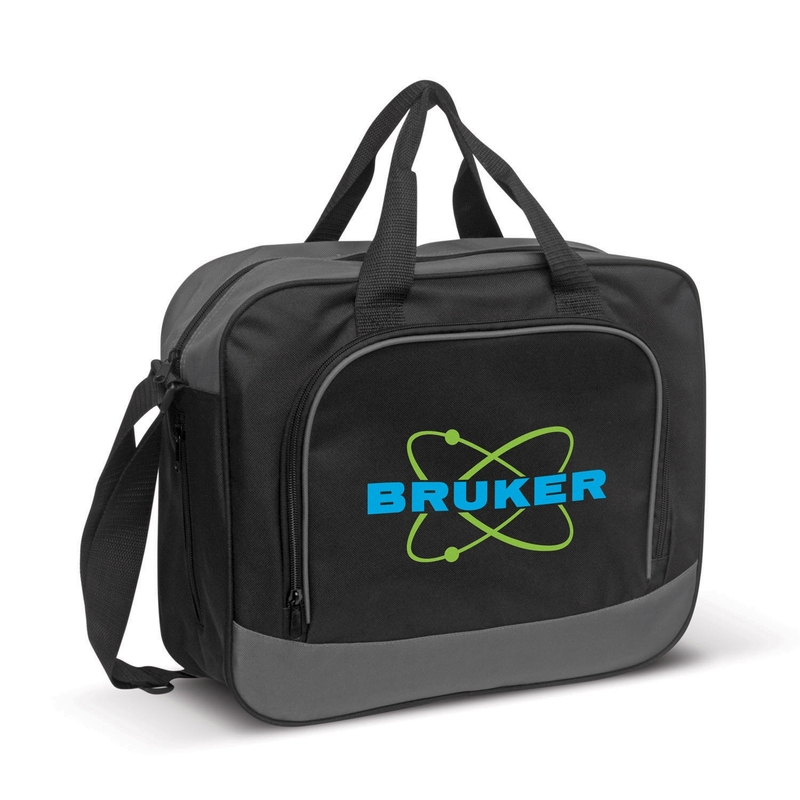 This large satchel is made from tough 600D polyester material. It features a large back pocket, an external business card holder, a mesh drink bottle carrier and a handy zippered side pocket which is ideal for keys, a phone charger or a power bank. It has both carry handles and an adjustable padded shoulder strap. The zip around front panel encloses inner pockets suitable for holding flash drives, business cards, pens etc. Large size for more added space. Durable bag for everyday use.